Cardio is a love or hate method of training. Some of you are happy doing hours of repetitive running, swimming or cycling – and for others it’s the worst thing imaginable. But for many people, cardio is often the go to method for weight loss. You’ll be pleased to know though that unless you’re training for an endurance event like a marathon or triathlon you can make big changes to your physique without even setting foot on a treadmill. In this article we’ll give you the lowdown on our 5 top ways to drop body fat without hour after hour of moderate intensity exercise. The bottom line is that for any fat loss diet to be successful you have to be burning off more calories than you’re taking in – this is referred to as negative energy balance or calorie deficit. In order to hit a calorie deficit you’d normally aim for around 20-25% lower than the calories you need to maintain your body weight – this usually equates to 500 kcal give or take. If you aren’t doing cardio you might not be burning off as many calories in a day, so you’re less active. All you have to do then is take in less energy – essentially eat less. It’s all relative so all you’re doing is balancing out the lack of cardio with less food. You’ll be no more hungrier than if you ate a bit more and did cardio each day. There are a number of different ways you can manipulate your calories through diet – IIFYM, carb cycling and carb backloading or all different ways of moving the foods you eat around, but they all acheive a negative energy balance which results in fat loss – you just have to try them to see which is more suitable for you. Bottom Line: Hit a negative energy balance and you’ll lose fat. Strength training is an absolute essential aspect of any successful fat loss plan. The more muscle you have, the higher your metabolism is so it goes without saying that if you can get some mass on your frame you’ll drop fat much easier. The key though is to stimulate growth as much as possible – and that’s where the big lifts come in. Compound exercises use multiple muscles and give you the most bang for your buck. Deadlifts, squats, pulls and presses should be the main staple of your program – this isn’t the time or the place for triceps kickbacks and side bends as they just don’t stimulate muscle building as much. If you want to take this even further you can plan these lifts in a way that truly maximizes your metabolic rate. Use weights that fatigue you within 8-12 reps and limit your rest times to less than 90 seconds. This triggers growth hormones that start the muscle building process – they also partition fat cells, helping you to reduce belly fat too. Bottom Line: Compound exercises give you the most bang for your buck in the fight against fat. Short, intense workouts are a brilliant stimulus for muscle growth and fat loss. They also tick all of the boxes we’ve talked about in point #2. The real beauty of circuit training approaches is that you can order the exercises so that you get a major fat loss effect without the endless hours of cardio. To do this you simply need to shift blood around your body by completing an upper body exercise followed by a lower body one, then back to upper body again and so on. By forcing blood around your body at an increased rate you’ll elevate your heart rate and breathing rate which will ramp up your metabolism. The added effect of the weight training creates more muscle damage than cardio, meaning that your body will work hard afterwards to repair itself. This means your metabolic rate will be higher for up to 24 hours after exercise – a process called excess post-exercise oxygen consumption. For effective, advanced versions of circuit training check out peripheral heart action training and escalating density training. Bottom Line: Circuit training allows you to get to get the benefits of cardio whilst making sessions fun. Dieting is hard – and the more fat you lose the harder it gets to lose it. That’s where you can boost your fat loss by increasing the amount of none-exercise activity you get in a day. Studies show that as we exercise more often, we tend to reward ourselves by moving less when we’re not in the gym. Walking, dancing, playing, fidgeting, gardening or cleaning or all excellent ways of boosting your calorie burning without structured cardio. The best way incorporate these activities into your daily routine is to choose things you enjoy (maybe cleaning isn’t a good choice then?). Playing music whilst you do them helps to keep you motivated too. Whilst these activities don’t necessarily burn a lot of calories per minute, they soon add up – in most cases you’ll burn more in a day than you did in the gym for an hour so don’t dismiss this clever little addition to your fat burning arsenal. Bottom Line: Unstructured physical activity boosts your overall daily calorie burn. These are both brutally simple and brutally… brutal! The ides is that you pick a light to moderate weight, usually just a 20 kg Olympic bar or a couple of light dumbbells. You’ll pick 4 or 5 exercises and complete them back to back. The rules are quite straightforward – do as many reps of exercise 1 as you can. Once you reach fatigue you move onto exercise 2 and carry on. You can’t rest or even put the bar on the floor. 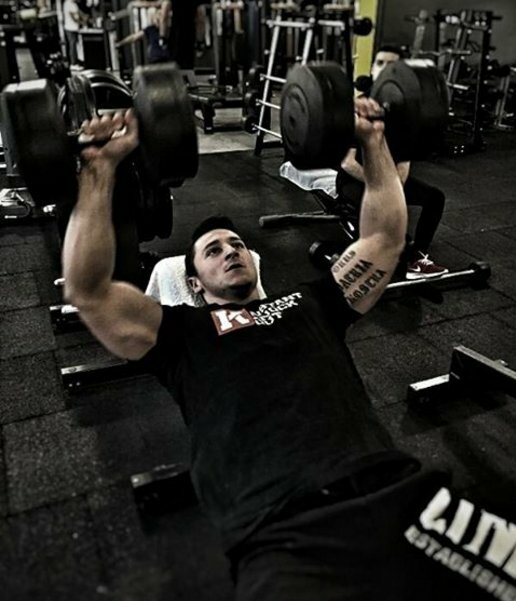 You carry on like this, working your way through each exercise until you reach a total of 100 reps. If you haven’t hit 100 by the time you get to the last exercise you repeat exercise 1 and so on until you do. Only when you reach 100 reps in total can you place the bar on the floor, rest for 2-3 minutes and then repeat! A total of 3-5 sets of 100 will soon see the body fat falling off. Bottom Line: Incorporating challenges into your workouts makes you work harder than normal. You either love or hate cardio. For some, there’s nothing better than an early morning run or a leisurely swim at the local gym. For others though, the thought of cardio is enough to put an end to a fat loss program. There are a number of things you can do to achieve the physique you’re after without having to resort to the treadmill or cross trainer. Thinking cleverly about your diet and approach to training will help you overcome this obstacle and if you incorporate them into your plan you’ll drop fat effortlessly. Can You Lose Weight By Lifting Weights? Do You Need to do Lots of Cardio to Lose Weight?